Whichever way you look at it, Roger Sanchez's first album has been a long time coming. Take your pick: three years (since it was first scheduled for release); ten (since he first released a single) or 20 (since he spun his first DJ set). Thankfully, whichever way you listen to it, "FIRST CONTACT" was worth the wait - and Sanchez wouldn't have had it any other way. "I don't think I know everything but I do know when something sounds right and basically I said, I'm gonna stop when it feels right, when it sounds right"
There have been classic dance singles in their hundreds, and probably thousands, since the advent of acid house but the truly classic albums to have emerged from the genre can be counted on one hand. Given that his yardsticks for LP excellence are the five-star likes of Basement Jaxx's "Remedy" and Massive Attack's "Blue Lines", you can appreciate Sanchez's insistence on getting it right. "A lot of people don't look at house producers as artists and most house producers don't look at albums as albums, they look at them as all these singles put together and that?s a mistake," he argues. "You have to think of continuity and that was the hardest thing for me to get." In "FIRST CONTACT", that labour pays off - it's 11 tracks somehow succeed in moving seamlessly between sleek, glacier-cool electronic instrumentals, all-horns-blaring Latin, warm, garage-style vocal tracks (thanks to such guests as Sharleen Spiteri, Christian Urich and N'Dea Davenport), brash, basic electronica, the last-word in sun-kissed dawn chillout and a future-classic forged from a soft-rock sample without missing a beat. Showing off? No. When you take into account Sanchez's breadth of experience and appetite for musical experimentation, it couldn't ever have been any other way. 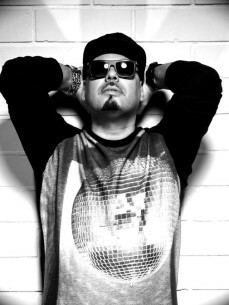 Roger Sanchez made DJing a career after years of never imagining it could be more than a hobby. Though he'd run a booming club night, made mix tapes that sold like hot potatoes and made his mark as a breakdancer in his Queens neighbourhood (leading to dance-on cameo roles in Eighties movies "Breakdance" and "Krush Groove"), he never considered making a living out of music. Instead he embarked on architecture degree in Manhattan, which he only abandoned after his father sat him down and told him music might be a better bet. The time wasn't wasted, though: "When I approach tracks," he says, "I always try to work on a foundation of the drums. The skeleton frames, the beams, are the beats and baseline and you build the music on top. I force myself to deconstruct the way I work. I look at every song as a problem that I have to solve." In case you've been staying indoors for the past decade or so, you'll know that opting to go pro as a DJ proved a wise choice. As one of the planet's foremost house DJs, Roger Sanchez has the art of making people feel right down to an exact science. (He's been practising since the age of 13, when he was first asked to man the decks at a friend's party.) He's taken his distinctively soulful, experimental sets around the world, from low-key residencies in his native New York to the wide open spaces of Ibiza or London's Fabric. He's brought the skills of his hip-hop to house music DJing (the third turntable and masterly scratching techniques being among the most famous) and now adds his own variety of interior decoration to the job, too: "I burn incense, I light candles, I try to make the booth a little temple, a bit more of a home."